View the gallery / 15 pictures and 4 videos. You're so fresh, I have not seen this before, so the whole experience has been very humbling and very empowering. 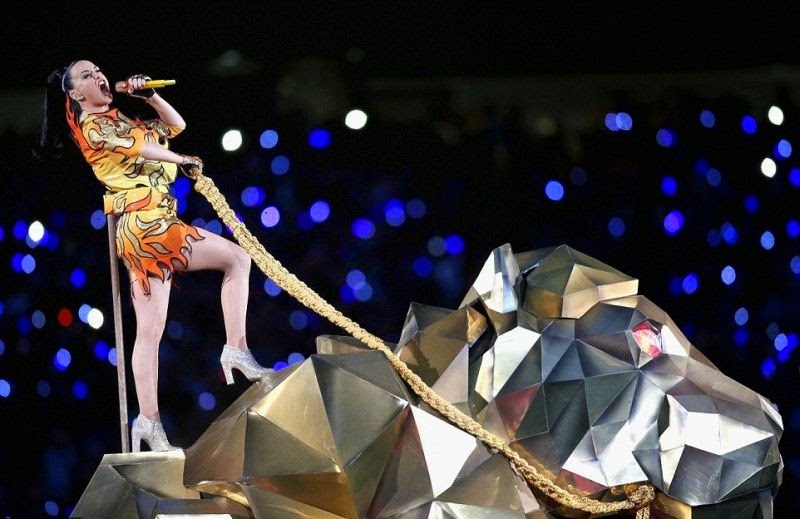 The reason why Katy Perry chosen an outstanding fantastic performance over a lot of people on the Pepsi Super Bowl XLIX Halftime Show in University of Phoenix Stadium. 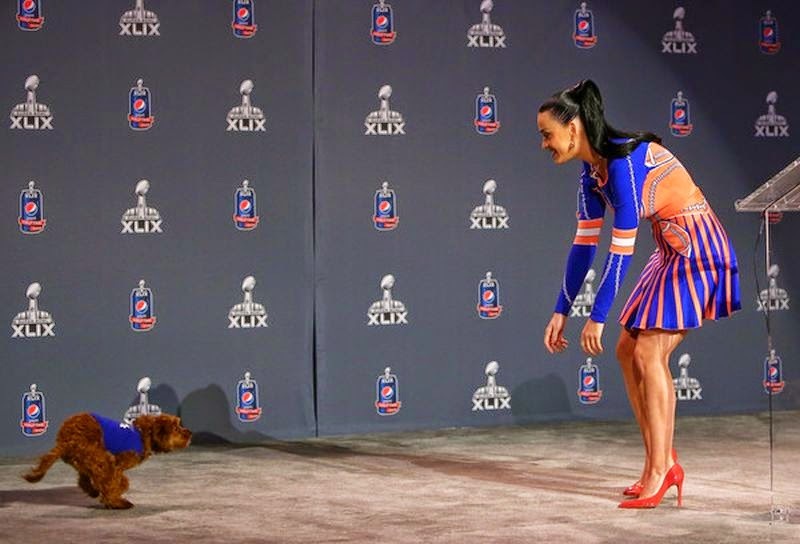 It's because it was fashion at Glendale, Arizona on Sunday, February 1, 2015 as she crafting the detailed fire dress, a silver long gown with the Star, a colorful mini skirt and didn't forget to her cheerleader costume with NFL theme. In a hightly stylized look, the 30-year-old being joined on the stage with Lenny Kravitz which the duo immediately launched into an awesome remixed version of Vogue dance. But we already know, thanks to her excellent public speaking on the center stage and trying keep a tight lid of halftime spectacle by no doubt. . . . . . . .Look so good and fear not for them!!! 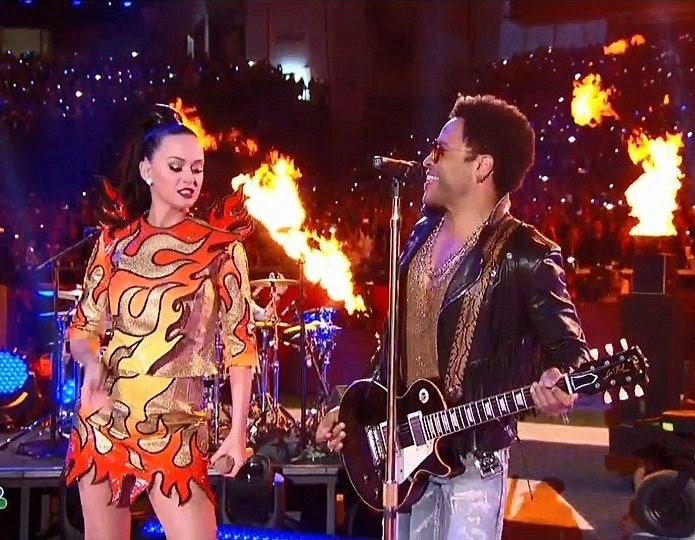 The singer setting the stage on fire as she collaborated her unstopping show with Lenny Kravitz. 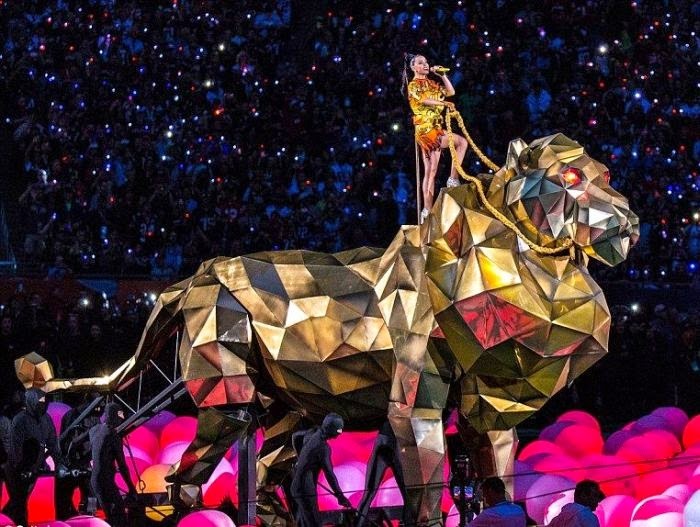 In another energetic show, the 30-year-old performed so briefly up on a giant gold of tiger. Is it a Christmas performance too? 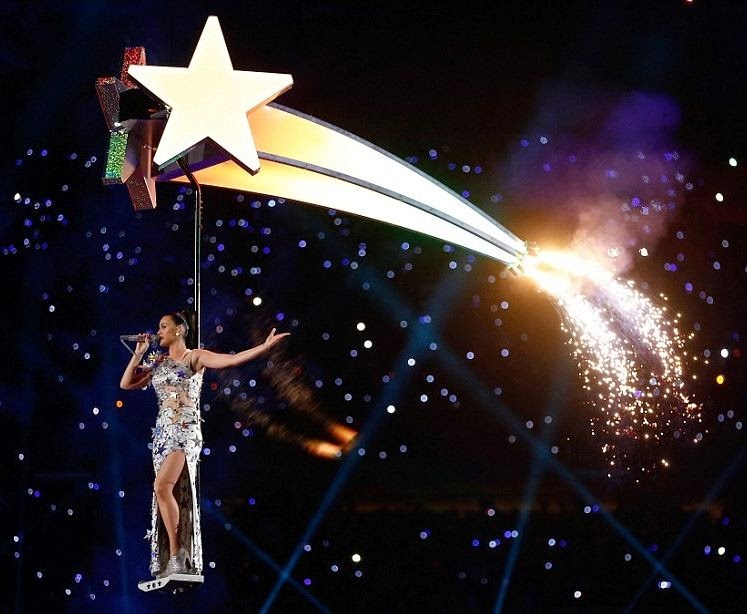 Katy completed her outstanding show alongside an incredible star. 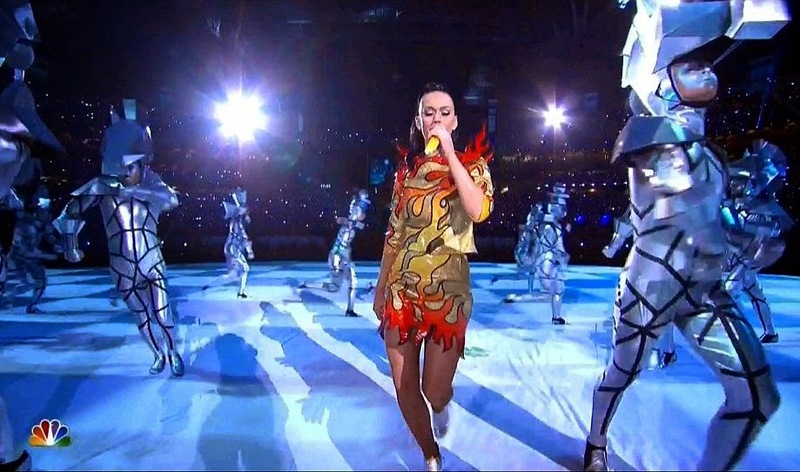 Perry also was given a wonderful colorful theme at one point in her performance. 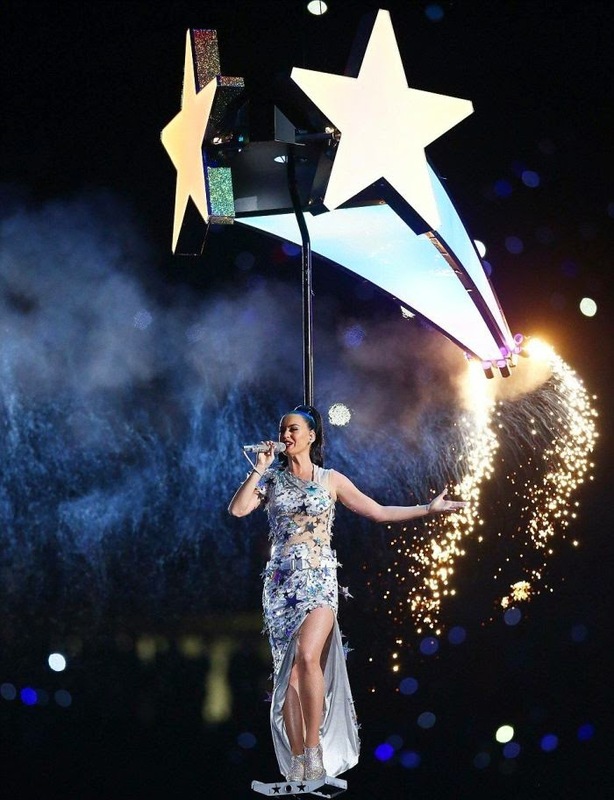 Plus, a very good talent on podium of the Pepsi Super Bowl XLIX Halftime Show. And suddenly, her cute pooch didn't want to leave the moment. Yap! You've got number 49 for the touch down!! !